Across the nearly 820 pages of “Cronkite,’’ Douglas Brinkley’s ambitious and deeply researched biography of the legendary CBS News anchor, the author returns time and again, Rosebud style, to the book’s central, and maddeningly elusive, question: What exactly was the trait, or set of traits, that made Walter Cronkite the Most Trusted Man in America? In search of answers, Brinkley, an acclaimed author and Rice University history professor, bravely scaled the Evidentiary Mountain: the hospital and school records from Cronkite’s Missouri birthplace and Depression-era childhood in Texas; his youthful love letters and school newspaper articles; his wire copy for United Press; his many accounts of his World War II exploits; the thousands of hours of television and radio broadcasts Cronkite recorded at CBS; his reporting on the Kennedy assassination and the space program; the oral histories and interviews he did with other journalists; Cronkite’s own collected writings. On top of all that, Brinkley conducted roughly 100 original interviews. The result is the definitive biography of Walter Cronkite, the steely but empathetic newsman with the stolid visage and stentorian voice who, from his perch atop the CBS News empire, served as a national father figure, a steadying presence who guided postwar America through its darkest hours and profoundest triumphs. Recounted here in detail, with scholarly grasp and smooth narrative flow, are the familiar milestones and more obscure regions of Cronkite’s life. In these pages, we get to know Cronkite with the intimacy we always wished for when watching him on TV: a charming, well read, witty, and hard-driving man, paternal and aloof, salty and refined, a lover of the game and the self-anointed guardian of its standards. 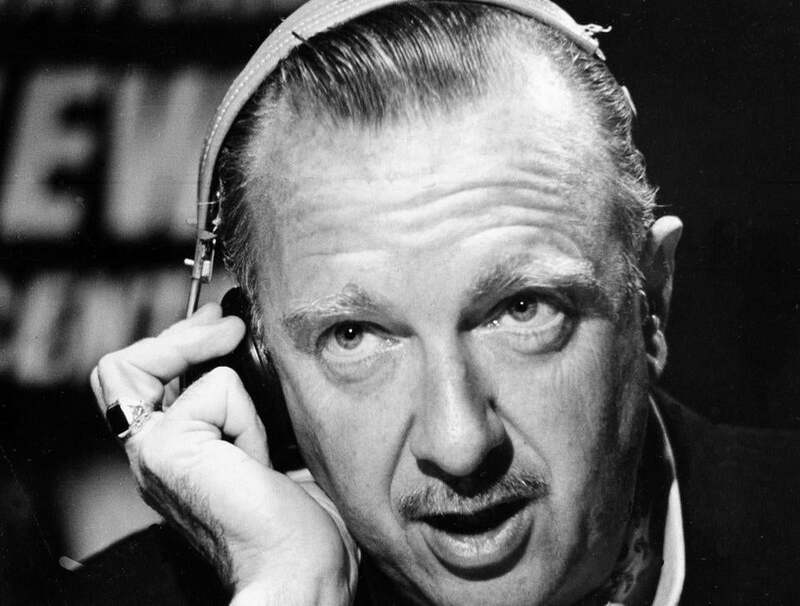 At its best, “Cronkite’’ magically transports the reader to a bygone era, when men of standing in New York dined at Toots Shor’s, smoked pipes at their desks, drank a lot, read Michener, flew Pan-Am first class, and loved their country. Nobody in America circa 1971 had a better Rolodex than Cronkite. He was encyclopedic about the comings and goings of blue bloods, military officers, and corporate CEOs. He made it his habit to trade in career updates, summer vacation plans, and casual gossip with the rich and otherwise powerful in American life. Unfortunately, the author’s investigative zeal and gifts for nostalgia are not matched by analytical rigor. While he dutifully relates the anchorman’s many moments of personal pettiness and journalistic miscarriage — and their frequency and severity are the real eye-openers of this book — Brinkley avoids some of the tough conclusions his research warrants. “Although his trade was objective journalism, his product was fair-mindedness, judicial wisdom, and a moral compass that knew how to decipher right from wrong,” Brinkley writes. Really? What of the Cronkite who Brinkley shows us ordering the bugging of the credentials-committee meeting room at the 1952 Republican national convention, and using the information gleaned from this invasion of privacy on the air? Or the Cronkite of 1964, whom Brinkley characterizes as “a rubber-stamp sycophant for LBJ,” the perpetrator, on his nightly broadcasts, of “ugly” swipes against Republican presidential nominee, Barry Goldwater? Or the Cronkite of the early 1970s, who saturated radio airwaves with “over-the-top commentary full of pro-Democratic partisanship”? James Rosen, chief Washington correspondent for Fox News and author of “The Strong Man: John Mitchell and the Secrets of Watergate,” can be reached at james.rosen@foxnews.com.